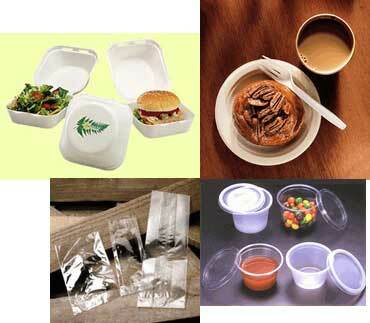 Recyclaholics' food service ware is made from vegetable-based ingredients, which contain zero or negligible amounts of petrochemicals. When used in a proper composting environment, they will break down into carbon dioxide, water and natural minerals in a short period. In addition to a range of styles, sizes and materials, we also offer custom printing and manufacturing. Most of our products are certified to be 100% compostable and fully compliant with the ASTM D6400-99 standard, which assures that they leave no known residues in the ground or water supply. These items carry the seal of the US Composting Council. To view a list of our current prices, click here.